That is not my problem this week as I am not really writing but spending my time researching. I am working on Marcia Willett’s Tavistock and have been looking at the various ways in which the town has earned a living over the last thousand years. Have I ever mentioned in a blog that Tavistock was (well, is I suppose but the functions no longer exist) a Stannary Town – one of four in Devon? The four Stannary area boundaries (Tavistock, Chagford, Ashburton and Plympton) meet here, at Crockern Tor not far from the Two Bridges Hotel. Accordingly it was here that the Stannary Parliament met when summoned by the "Lord Warden of the Stannaries" - a man appointed by the king who held ultimate responsibility of tin mining in both Devon and Cornwall. 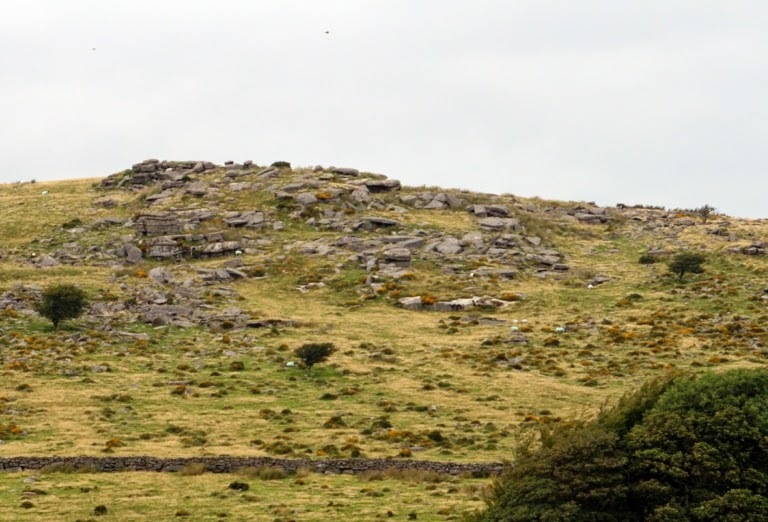 The name comes from the Latin for tin and the reason that these four towns were granted a Stannary Charter (by Edward I back in the early 1300’s) was simple: he wanted to ensure he was able to get the maximum possible tax out of the tin mining industry on Dartmoor. These charters did two things: they enabled the miners to create their own laws (which they had been doing for ages anyway but now these became official) because he wanted to encourage tin production. After all, the more tin that left the moor the higher the potential tax take. The charter also decreed that all tin had to pass off the moor via the appropriate Stannary Town where it would be taxed. 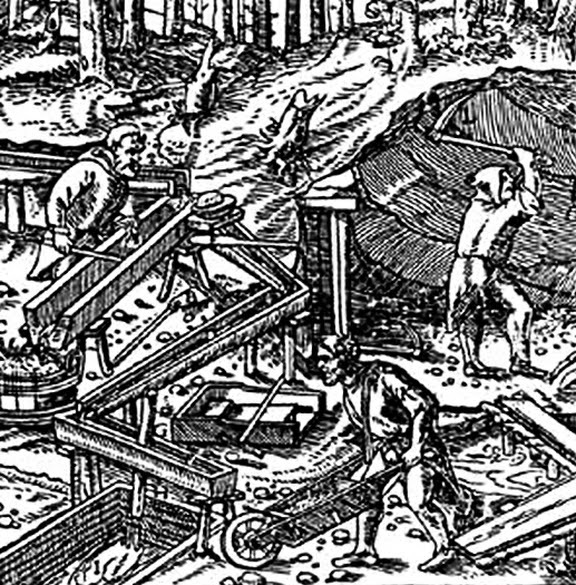 It was a brilliant way of dealing with the matter and functioned well for nearly four hundred years, only ending when it became uneconomical to work the remaining deposits of ore. 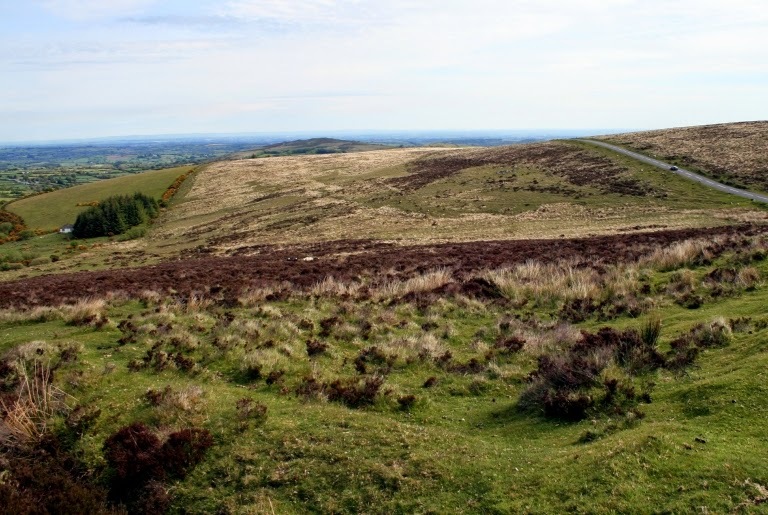 Since tin mining itself is not really part of ‘Tavistock – Past and Present’ I decided that I would deal with tin mining on the moor as a side bar within that section and settled down to find out all I could about it. In the old days when I needed to research for some cod history (for I am not an academic historian and have never claimed to be one) I have turned to reference libraries and, in particular, the Westcountry Studies Library in Exeter. That no longer exists and has become integrated with other resources to form the Devon Archives and Local Studies Service which is wonderful since a good deal more information is now available on line. So it is that instead of searching through drawers of record cards and microfiche film I now spend my time trawling through various web sites. However, one thing remains exactly the same: I am unable to stop myself being drawn down all sorts of irresistible by ways which have little or nothing to do with the subject in hand. All over the moor you will find evidence of tin mining. Often this is no more than the ground having been disturbed in an apparently random way, as here. Exactly that has happened over the last three days. All I wanted was some old illustration of tin miners at work (a picture being worth a thousand words). I was at that point where the temptation to give up (after all, such an illustration is not really vital) when I spotted a name that meant nothing to me at all: Georgius Agricola. The only Agricola I had heard of was a Roman Emperor but clearly here was someone else since this one was born in Saxony in 1494. Intrigued I Googled the name and within minutes I had exactly what I wanted: some engravings (presumably dated about 1525) which were contained in books this Agricola had written about mineralogy. Then, of course, I wanted to know why this man from what is now a part of Germany had written such books. He was a true man of his times: a polymath and quite extraordinary. I have been unable to find out who his parents were nor anything about his childhood. However, he comes out of the woodwork in 1514 when he is studying classics at the University of Leipzig. In 1518 he starts teaching Latin and Greek in a school in Zwickau – one assumes he needed the money – but after four years he returned to the university to study medicine. At that time, Leipzig was at the centre of the theological debates out of which sprang the Protestant movement: in July 1519, Martin Luther arrived in the city to take part in what was known as the Leipziger Disputation and the whole university was taking sides; much to the disgust of Agricola who was a staunch Catholic. To get away from this atmosphere he travelled to Bologna in Italy where he resumed his studies into medicine whilst also studying philosophy and natural sciences: the polymath was coming out of his shell. After further studies in Padua and Venice he took a job with a publisher there: the Aldine Press. Together with another man, John Clement, he was preparing for publication an edition of a book by Galen (the Greek physician) which was published in 1525. It seems likely that these two men, Agricola and Clement, spent a good deal of time together outside work. Clement had been secretary to Thomas More whilst More was writing Utopia. Was it this book that inspired Agricola to interest himself in the laws and traditions of tin miners? Probably because interest himself he certainly did. In 1526 he was to return to Saxony where he became the town physician in Joachimstha – in one of the richest mining districts in Europe. It is suggested that his main concern at that time was to find medically useful ingredients in the various ores and metals being mined. In this he was disappointed but his contact with the mines and the miners became his passion and the study of mineralogy was to lead to a number of books on the subject (whilst Agricola was in Venice, he had met the great Erasmus who wrote the introduction to Bermannus; sive, de re metallica, a treatise on mineralogy which came out in 1530). It was to be followed by many others and Agricola was to become known as ‘the father of mineralogy’. So, after spending time – or wasting time depending on how you look at these things – finding out more and more about this person, in reality all I achieved was to find a few engravings of which one (above) will be used in the book I am working on. Unless, of course, I decide to devote a bit of space to Georgious Agricola which might or might not be a good idea. Sally Gingerbread, Jeanne and Keith Giles's beloved dog, died very recently and it seemed fitting that there should be a photograph here in her memory. I understand they are looking to take on another rescue dog and I am sure you will all join me in hoping that they will soon find another companion.